Our attorneys also take cases involving insurance, business and litigation. At our law firm, we take a client-centered approach to each issue. In other words, we put the client's needs at the top as we look for efficient ways to bring a case to a close. We offer free initial consultations, which gives us a chance to assess someone's situation and provide honest feedback about moving forward. Thanks to our decades of experience, we are proficient in high-profile and high-stakes matters. Our attorneys are fluent in the judicial system and have appeared in both state and federal courts. On our team, we have attorneys who formerly defended insurance companies, who have written for skiing publications and who regularly advise people on risk management issues. We are well-versed in the circumstances our clients find themselves in, and we are prepared to go to any length necessary to guide them through legal processes with ease. 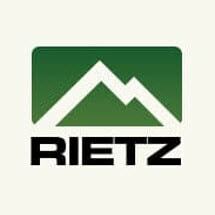 Rietz Law Firm has a satellite location in Florida, and we are able to take cases from across the country.